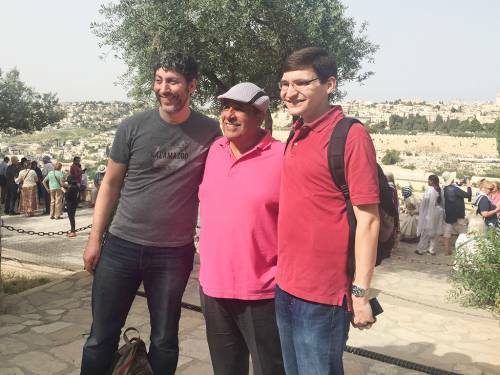 LOUISVILLE – The Presbyterian Peacemaking Program is once again offering individuals an opportunity to visit the Holy Land through its Mosaic of Peace Conference to Israel/Palestine. This will be the third time in recent years that Peacemaking has hosted a group in the region, with previous trips in 2014 and 2016. Participants are scheduled to be in the region April 29–May 12, 2018 and will spend time in Jerusalem, Bethlehem and Galilee. Horton says the group will hear from a variety of Palestinian and Israeli leaders working on justice and peace issues, as well as take tours and visit holy and historic sites. Horton believes it’s important for Presbyterians to “not only walk where Jesus walked” but to encounter the living stones of the Abrahamic faiths and hear stories from a variety of perspectives. The Rev. Andy King, a young adult pastor in Pulaski, Virginia, made the trip in 2016. He said the trip impacted him in a number of ways including becoming more acutely aware of the issues in the Israeli/Palestinian conflict and how the U.S. affects them. King said it opened his eyes and heart to take more direct action at home around similar issues in this country. He has been volunteering to discuss the conference with local churches. Rebecca Gibbs of Cincinnati was another participant in the most recent trip. Gibbs said the most meaningful part of the trip for her was the time spent with community leaders. Horton hopes participants are both awakened to the complexities of the conflict and inspired to stay engaged in efforts for peace and justice in the region. For more information on the trip including registration, sample schedule and photos, click here. Applications to participate may be submitted through Nov. 15.